Its official, Nigeria has unbanned textile imports into the nation as long as the importer pays the duty of 25%. This is bad, folks…very bad. First let’s understand two concepts, imports for final consumption are bad, ditto tariffs. So why are imports for final consumption bad? Well imports weaken the local currency. When a nation imports, she actually sells her currency and buy the currency of the exporter nation, thus the local currency loses value and falls. Imports kill local jobs, if you buy foreign goods, you create foreign jobs…. so in summary if you import more than you export, your currency is weakened, and your economy loses jobs. So what’s a tariff? A tariff is a tax on imports. Governments also realize that imports for final consumption are bad for their economies so they tax imports to discourage them. For example, in November 2014, the United States took a step toward imposing tariffs on Chinese-made tires in response to efforts by workers in the American tire industry to prevent jobs from moving to China. The US basically subjected Chinese made tires to punitive tariffs ranging from 17.7% to 81.3%. When you tax the imports by imposing tariffs, you make them expensive and their demand falls…that’s what tariff do, they change purchasing behavior in favor of locally produced products. So we understand that imports for final local consumption are bad and governments use tariffs to discourage imports. To be clear the textiles industry in Nigeria matters…BusinessDay reported that “in 1980s, the Nigerian textile market had become the third largest in Africa, with over 160 vibrant textile mills and over 500,000 direct and indirect jobs. In fact, by 1985, there were about 180 textile mills in the country, employing about one million Nigerians. Between 1985 and 1991, textile sector recorded an annual growth of 67% and as at 1991, it employed about 25% of the workers in the nation’s manufacturing sector. 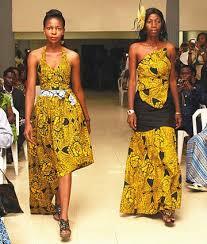 The country’s textile capacity accounted for 60 percent in West Africa.”. This vibrancy was buoyed on a ban placed on importation of textiles during and after the Civil War, which attracted investors. This led to backward integration in the industry as many textile mills became fully integrated, even as some became spinning mills. Information available from the Nigeria Textile Manufacturers Association (NTMAN) showed that within this period, technological sophistication in the Nigerian textile industry was the highest in the Sub-Saharan Africa. However in 1997, the ban on importation of textiles was lifted….cheap imports from China and India came into Nigeria and killed off the textile industry. About 60 percent capacity utilization in 1996 deteriorated to about 28 percent as of 2002. …Within six years, over 50 companies had closed down, while about 80,000 employees had lost their jobs. To save the situation, textile imports were again banned in 2004…This new ban came with a bailout fund of N100b for the textile manufacturers plus reduced duties for the importation of raw materials for textile manufacturing. The arguments for this new ban is simple….we banned, but imported textiles are still in Nigerian markets, true. So the ban is not working, …hence lets unban and make revenues from customs duty…the other argument is that Nigeria signed up to the Common External Tariff (CET) and thus, we can close our borders to trade, we can at best impose a tariff. Let’s take the Common External Tariff (CET)….it is important to understand that there is nothing like free trade, no nation opens up her borders to imports…none. I give a few examples. The Ministry of Industry and Trade, Indonesia has issued a decree to limit textile imports in a bid to help the local industry affected by the massive quantities of cheap imports with effect from November 1, 2002. China has initiated temporary anti-dumping measures against South Korean imports of polyester staple fiber, state media reported on November 2002. The decision followed a probe into claims, last year the imports were hitting domestic polyester staple fiber producers hard. The Manufacturers Association’s textile division is demanding a15-20% surtax on imports from China to help local manufacturers recapture lost sales. Massive cheap Asian imports have hit sales at 45% of Israel’s textile factories, leading to a loss of some 5,500 jobs. In estimates, more than 70 textile factories have been forced to relocate to low-cost areas over the past year. 1. Subsidize local production: Instead of a 25% duty to the FGN, give the local textile companies a 90% rebate on cost of generated Power. According to the textile union “Between 30% and 35% of textile and garment manufacturing costs are energy related expenses. thus give textile plants zero percent CBN interest loan to build embedded power plants or pipelines to get gas to their factories. Immediately give them direct allocation of diesel from NNPC based on textile production quota. If we sell diesel to textile factories in Nigeria at N20 a litre, there is no way a guy can make textiles in China, pay shipping, insurance, local transport and sell lower in Nigeria. 2. Ban properly: A ban is a strategy not a destination….it’s clear that bans work, if they don’t, nation won’t be doing them…why the Nigerian textile ban failed was because, we just banned and viewed banning as the solution not the strategy, allow me give an illustration how a ban should work, we review the British Calico Acts (1690-1721). In the late 17th century, The UK Parliament began to see a decline in domestic textile sales, and an increase in imported textiles from places like China and India. Seeing the textile importation as a threat to domestic textile businesses, Parliament passed the first Calico Acts as an attack on textile importation. Dissatisfied with the smuggling of outside textiles after the original Calico Acts; in 1721, Parliament passed a stricter addition to the original Calico Acts, this time, prohibiting the sale of most cottons, imported and domestic. The local producers were protected with more tariffs, and by 1813 the import duty on Indian cotton goods stood at 85%. By 1830 British cotton textiles dominated the world market and the Indian cotton textile industry was in ruins. The UK understood that tariffs were a strategy not a destination, thus the Calico Acts acted as effective trade barriers, which allowed Britain to build up its cotton industry with technology, specifically the steam engine. Indian calicoes were cheaper and more efficiently made than British textiles, but the trade barriers allowed for British textile industry to grow and learn to make cotton textiles as efficiently as the Indians did without the threat of foreign competition. Britain did not surrender, even with smuggling of cheaper textiles to start earning revenue of imports of Indian cotton, rather it shut down the UK market to imports and sale of cotton, and gave its local manufactures the time to apply technology to compete. Once the local British textile firms could produce cotton as cheaply as the Chinese and the Indians, the UK lifted the ban on cotton and began to export. “The goal of protectionism is to allow an industry to develop until it is able to compete in international trade. Once the industry is competitive on global markets, you no longer need domestic tariffs and they can be removed”…..not before as Nigeria has done. So let’s not be stupid……. So just to summarize, imports of any kind for final consumption are bad, tariffs are taxes, banning is not a destination but a strategy….we have seen how Britain was faced with the exact same situation as Nigeria…cheap imports of textiles that killed off the local textile industry, and we can and should learn from their response…. The goal should not be to myopically raise Naira revenues form textile imports but to raise US Dollar earning from textile exports. It’s our problem, we can fix it.